This handy storage capsule is waterproof, crafted from aluminum with rubber o-ring seal. 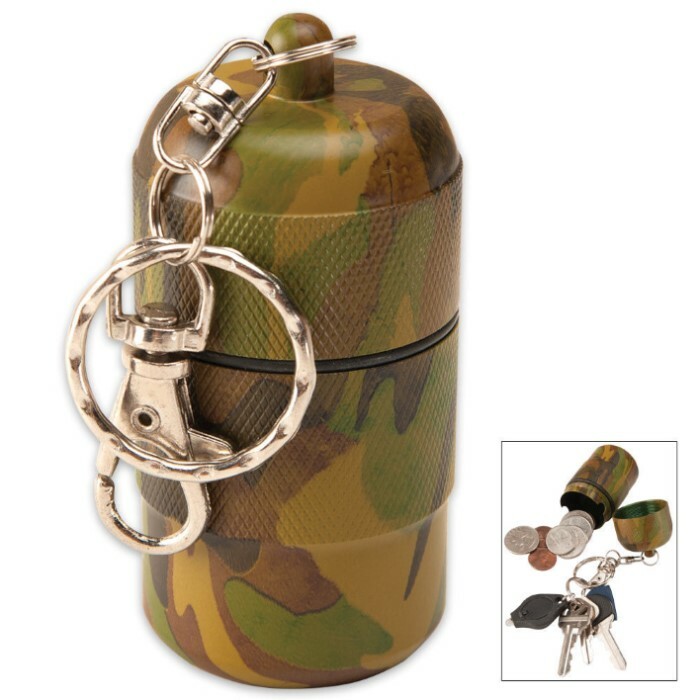 Features include the anodized camouflage finish with stainless key ring and hook assembly (removable). Perfect for keeping your loose change and other small items together.